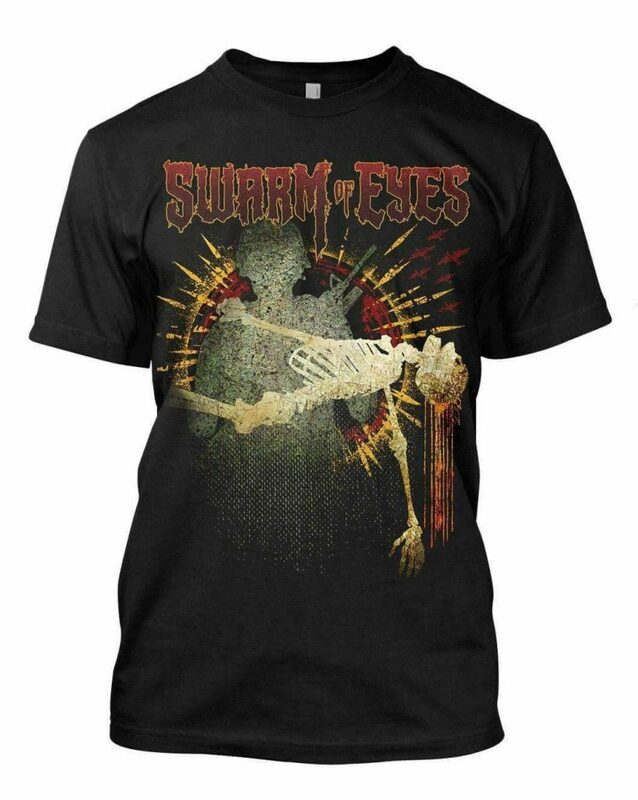 A: A black 100% cotton t-shirt depicting an image of the jaw-dropping album art for We Go to War With the Weapons We Have along with a stylized Swarm of Eyes logo. Q: What's MORE metal than metal? A: The t-shirt described above when it's artistically rendered by Mike D of Killswitch Engage exclusively for Swarm of Eyes. 'Nuff said. Order yours today. Available in sizes up to 4XL. Shipping included!